Because of this, all of your treatment, from simple to complex, is performed with a meticulous attention to detail. As a top family dentistry practice in Irvine, they can make members of any generation excited to visit the dentist! They have an impeccable eye for aesthetics and are passionate about creating beautiful smiles. It’s the best of both worlds – advanced dentistry combined with an intense focus on your personal comfort. Our main goal is to build long-lasting dental relationships one smile at a time and take great pride in helping you achieve your dream smile. On their personal time, Ali and Shery love to travel, cook, dine, play basketball, golf, yoga, hike, hang at the beach and watch USC football. So whether you are looking for the latest in dental implants, or just looking for a dentist who is currently accepting new Irvine patients, please join us. We’ll give you something to smile about! Call us at our Irvine dentist office at (949)-748-7373 or schedule online. Serene Dental Center has been recognized by COAST Magazine as one of Orange County’s Top Dentists since 2006. Dentistry for the whole family. We like to see the whole family, no matter what generation. Drs. Ali and Shery have the experience and caring manner to care for your entire family’s dentistry needs. 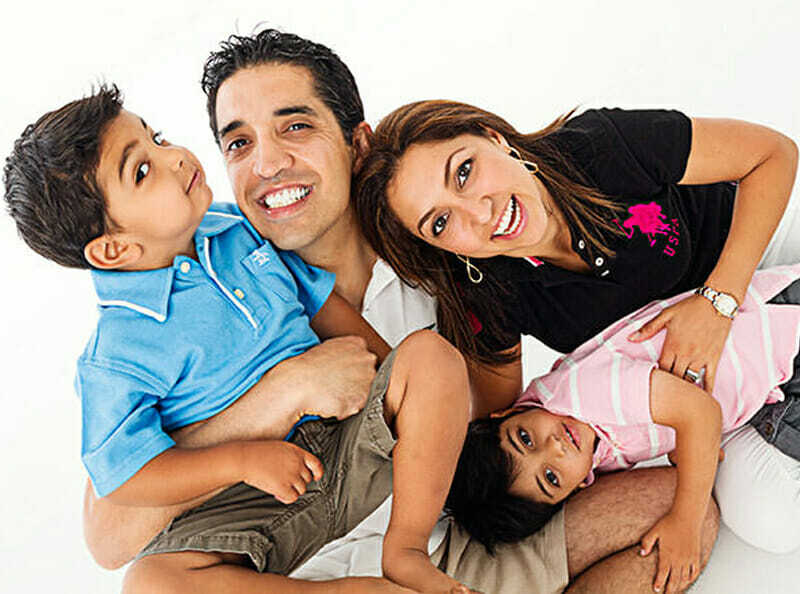 We are a full-service Irvine family dentistry practice. Call us at 949-748-7373 or schedule online now! Invisalign is ground-breaking technology that straightens teeth through a series of clear, virtually invisible, custom-molded aligners. Gone are the days of heavy metal implants and full head gear retainers.